nero profumo: GUERLAIN L'Homme Ideal: Exploring new meanings for the word "ideal". 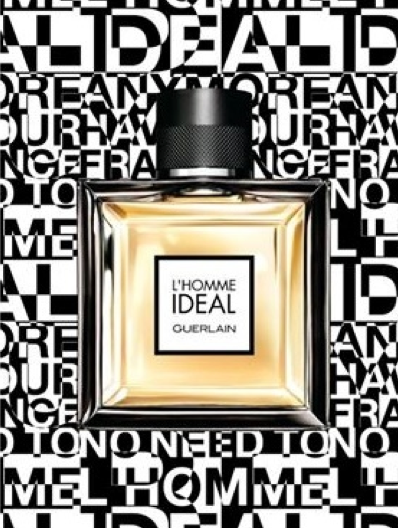 GUERLAIN L'Homme Ideal: Exploring new meanings for the word "ideal". I see L'Homme Ideal as a sad little creature. Many things have been said to explain the reasons why Guerlain released such a fragrance and they all sounded more like justifications for the fact L'Homme Ideal is, in the end, boredom personified. Anyway, of all the things I read and heard, the most logic to me was that Guerlain was targeting the Blue De Chanel audience and, more generally, a wider crowd. After smelling the juice, this makes sense but my next questions are: Do I really care about what were the intentions Guerlain had? Do they make me change what I think about this fragrance? …but, most of all, as a consumer, do they really matter? No, not at all. L'Homme Ideal is a sad little creature that smells like a plethora of other department store fragrances that hit the shelves in the last ten years or so. A bunch of catchy top-notes (in this case not even *that* catchy to my tastes) slammed on top of a sticky, outrageously generic and uber-synth woody base. Oh Dear Lord that base! Tonka, sharp cedar wood (maybe some woodyamber) and some vetiver. Surprise! Yes, there's the infamous *amaretto* note but well, when it comes to almond-y notes, Guerlain feared no rivals in the past and L'Homme Ideal's opening is far from being enough to save the rest of the composition from precipice. Mind me though, the problem here is not that they played it safe but more that it completely lacks any kind of personality. Now, I'm a huge Guerlain fan but this time, seriously: EW! …and as my grandma said, L'Homme Ideal doesn't exist!